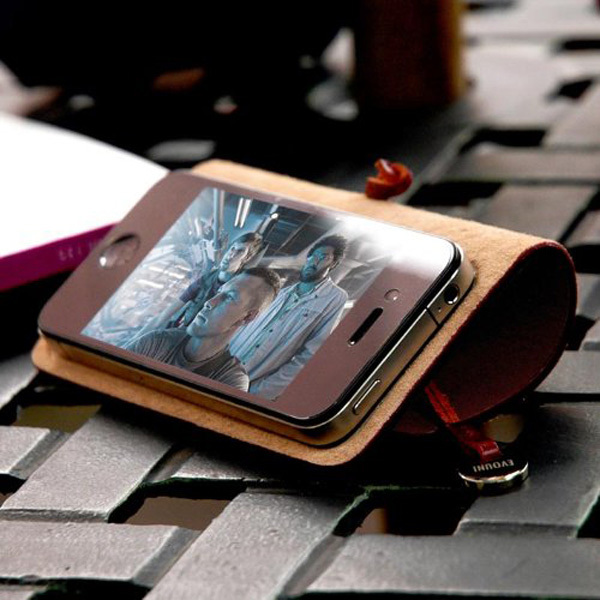 Evouni Leather Arc iPhone Cover: Simplicity at its Best? 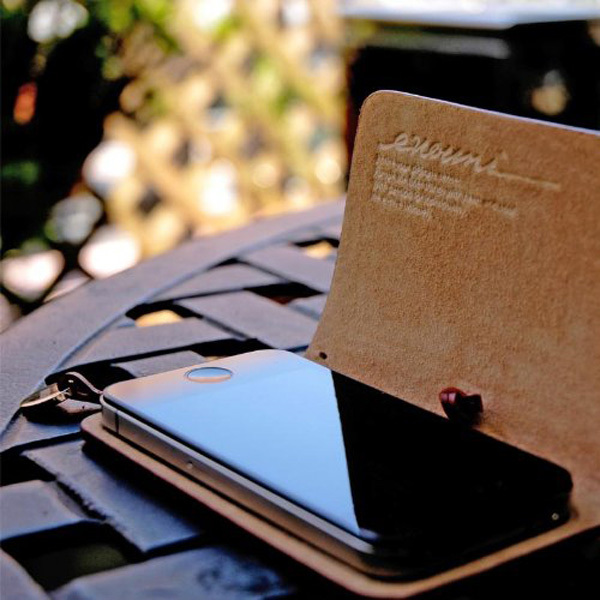 There are a lot of funky iPhone cases out there, but I rather like the simplicity of this one. 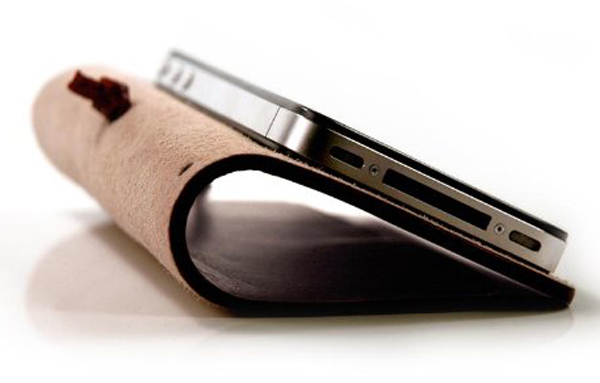 It’s basically just a pouch that doubles as a cover and a stand for your iPhone when rolled back. 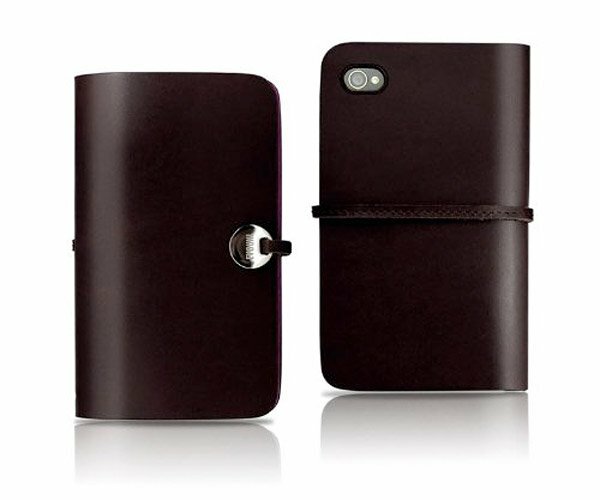 Evouni’s Leather Arc Cover is quite simple and elegant in its design, made from Italian calfskin leather that will get even more supple with use. While it’s made for iPhones, it looks like it might accommodate phones from other manufacturers, since it’s not really designed to be a snug fitting case. You can get it on Amazon for $69.99(USD) in either black or claret (though I’m unsure what color that is in the picture below.) They also make a version for the iPad 2 for $120. Evouni have a variety of other cases listed over at their online store as well.